With Drury Lane, we took one of our best-selling hand-scraped Epic Hardwood visuals and created a variation in mixed widths: 3 in., 5 in., and 7 in., all packed in the same box. This results in an easier, less confusing mixed installation; more even color across the installation; and a cohesive, consistent, designer look. Drury Lane displays the industryРІР‚в„ўs top-selling scraping and chatter techniques in the most desired species: hickory. The trendy mixed widths give a custom look and make a bold statement on the floor. 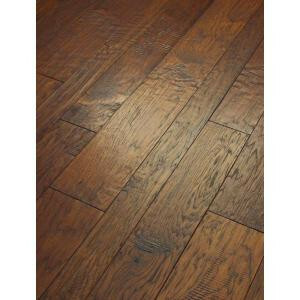 This hardwood is rated РІР‚СљHighРІР‚Сњ with high color and character variation within each box. It is imperative that hardwood planks from various cartons be continually blended during installation to insure optimum appearance.